If you have a Pool Table in a bar, it only makes sense to have a Pool Table lift. 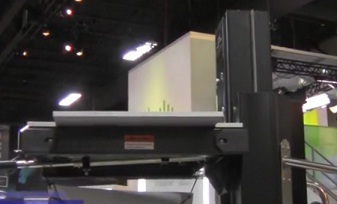 Therefore, if you have a Server room or Data Center, you need a lift to put the Server racks up. That is what ServerLift is all about. They sell a device that helps you put up and take down a rack. Therefore, if there is a problem rack, you can pull the whole thing down instead of standing on a shelf trying to troubleshoot. After all, if you have a Billion dollars in server equipment, you want to take care of it best you can.